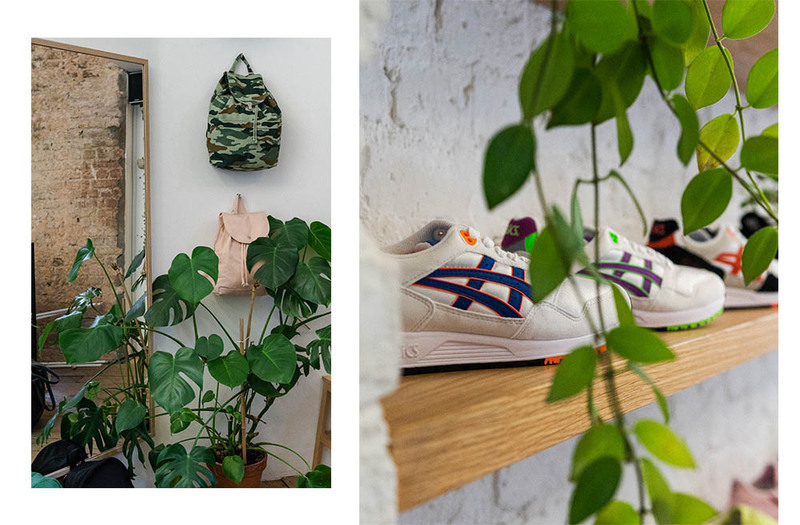 The first UK store to specialise in women’s only premium sneakers and streetwear. 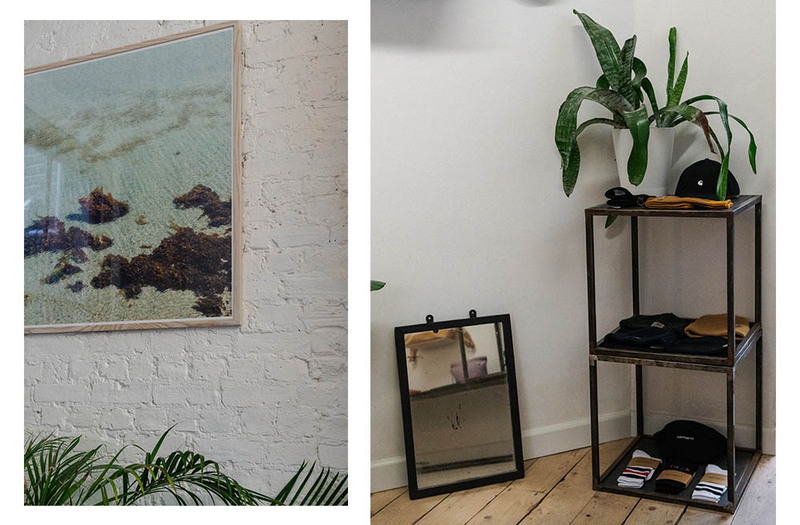 We caught up with Rio Holland and Beth Heggarty, founders and owners, to find out all about the amazing store that is Pam Pam London. 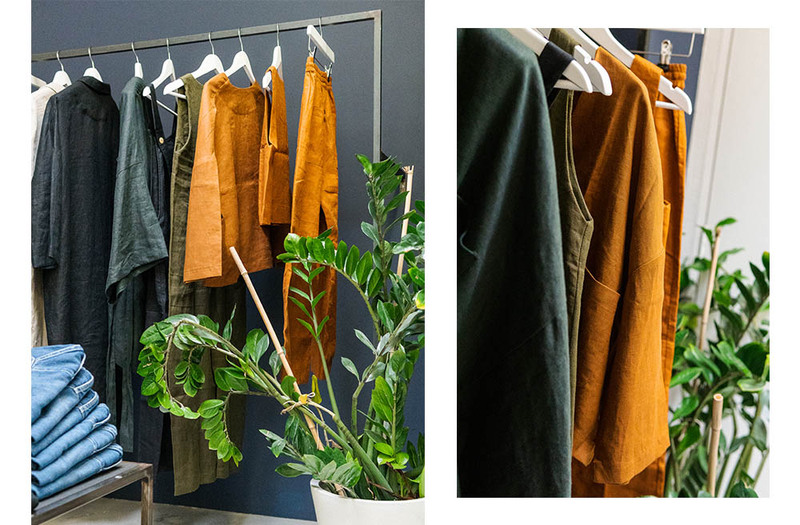 While stepping in, a relaxed mood and tailored aesthetic draws you into the store. Sneakers adorn the walls, plants are carefully placed around the rooms and natural light floods in from the large windows. 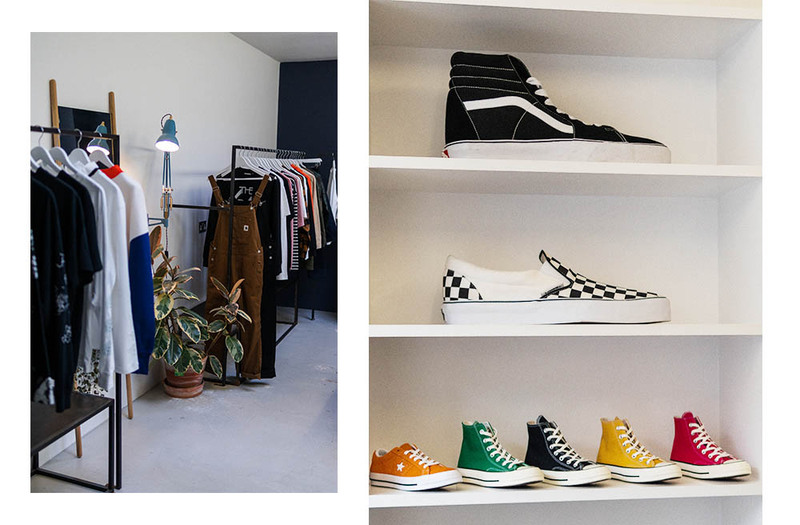 Pam Pam is just the place you would want to hang around a while, taking time to look at each sneaker, accessory and item of clothing. Quirky features make up this store, with a three part divide, you go from the shoe section, backwards into the lifestyle room for all your creams, jewellery and bags. Finally, finishing in the third room, where you will find carefully selected street and sports wear alongside beautiful linen garments. 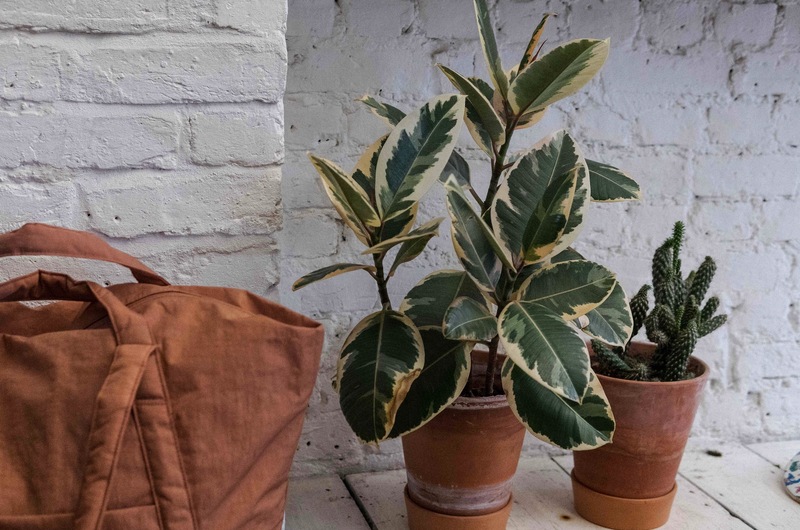 We especially love the raw brick walls and the oversized Vans collection. Thought out to a T, Pam Pam is for every woman. 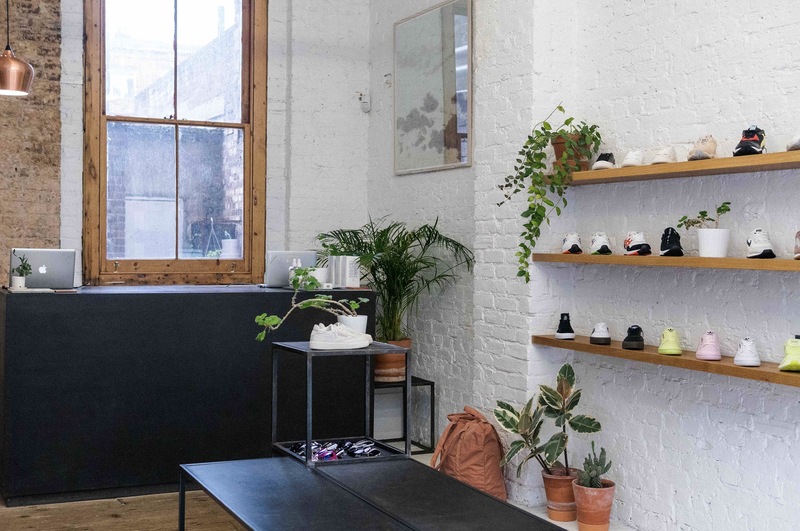 Curated sneakers and garments create a welcoming environment for all, and we can say it is definitely always worth a trip if you haven’t (or have!) been before. 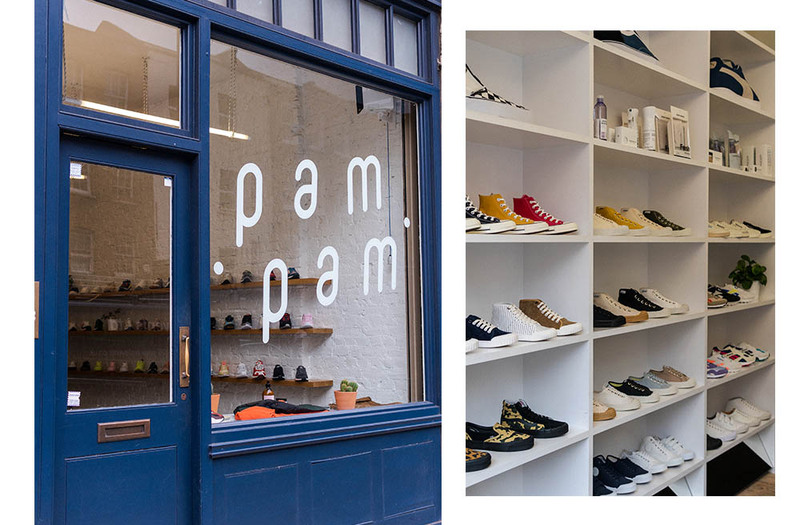 Check out The Sole Womens interview with the Pam Pam girls, and be sure to follow @pampamlondon and check out their online store here. What led you guys to open pam pam in 2015? Rio: The reason why we started Pam Pam was we found there was just a lack of spaces that were dedicated to women, that had a sneaker specific focus. As well as really select picks of clothing, jewellery and lifestyle pieces. Particularly for sneakers there was nothing that had a top tier offering for womens only. Beth: and exclusively for women too, we were the first women sneaker store in the UK which is crazy when you think about it. Do you get men shopping in here for the womens shoes? Beth: Yeah we do, we get a fair amount of men shopping for themselves too, you know, we are all inclusive. But we do get a lot of guys shopping for their partners, and mums and sisters and what have you. The guys who come in here are always really great and really supportive. When you opened, was it similar to how it is now? Were you selling all of the clothes and jewellery etc? Beth: Yeah we opened with the three separate spaces. So, sneakers in the front, lifestyle in the middle and clothing in the back. That was always really important to us, to be able to cover the customer’s entire life. We can do everything under one roof, but have the dedicated sneaker selection that led the other choices that we’ve made with the rest of our selection. You can wear sneakers with everything, I think that was one of the discussion points at the time. Women sometimes struggled to think what they could wear their sneakers with, and I think what we do is illustrate, really easily, that you can just wear sneakers with everything! And the name, how did you decide on pam pam? Rio: There’s sadly no special story with this. We had a name, we couldn’t use it, and a friend of ours just essentially emailed us this huge list of different names and the very, very top one was Pam Pam. People ask us this all the time, we are not Pam and Pam, it just means a fun time. Beth: Yeah it just sounds good! And it looks good, and it’s fun. How did it feel to be the first womens only store in the UK? Rio: The support from day one was incredible, the feedback we got was amazing. Women also couldn’t believe that there wasn’t a space like this for them, particularly in such an area of East London, there’s a lot of mens stores that do this, but nothing for women! It was truly one of those “right time, right place” things. Beth: Even when people discover us now, three years in, people get so excited about it. It’s really special. How do you achieve such a tranquil feel within the store? Beth: I think we have really amazing staff, they’re just amazing human beings. They are really instinctive. 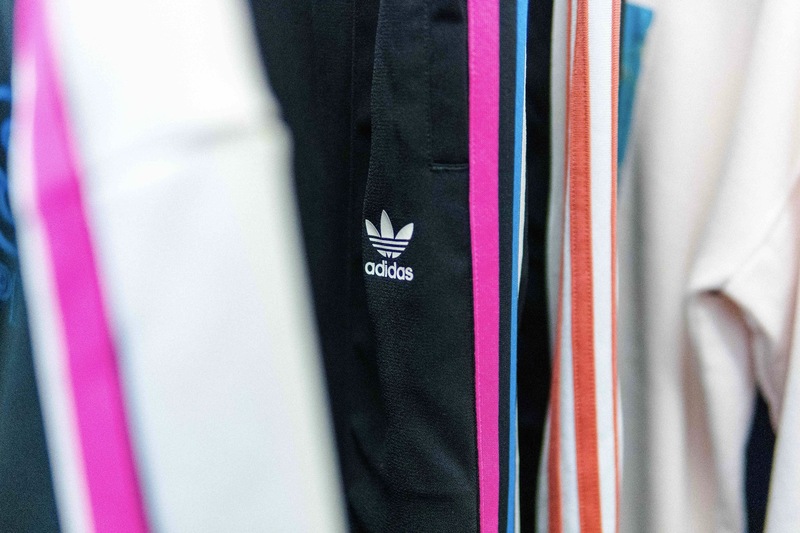 In the streetwear/sneaker store scene you don’t usually get people that are so forthcoming. Rio: Obviously plants, too. Like animals, plants can be a really calming thing, and we do have a lot of them. The other thing is that the store is really minimal and to the point. We don’t have a load of extra stuff. It’s laid out in a beautiful space, and I guess people wouldn’t feel anxious or feel distracted through it. What is your history as friends? Rio: We used to work together in a menswear store, and it was just an idea that happened one day that we sort of laughed off. We didn’t think it would actually happen. Beth: Yeah, Rio had said “I always wanted to open a womens sneaker store” and I went “lets just do it!?”. The timing felt right and the universe wanted it to happen for us. Tell us a little bit about your personal sneaker collections? Beth: It’s kind of disgusting! Rio: (laughing) Disgusting is probably the right word! Theres a lot of… Theres a lot. And from a lot of different brands too. I wont name names because its just a universal love for all of the sneakers equally. Beth: Rio’s love is very out reaching and very fair, and yeah, I’d say she has a very level collection. Rio: I started wearing sneakers a very long time ago and I don’t wear anything else. I’ve never really done that. So, to open a sneaker store and to have this selection of sneakers in front of me to choose from was probably dangerous. The idea of it was probably bad! Beth: I think we’re quite good, we have rules that we can’t just buy them whenever. Rio: We don’t go crazy, but I think our collections have a nice amount of top tier/hard to get stuff. But, we also really love in line things that aren’t particularly special, if its just a good colourway or an every day shoe. How has Pam Pam grown since you started it? Beth: I guess the support has grown, it’s nice. Sometimes when you’re in the store and someone is on the phone and they say “I’m in Pam Pam, just meet me here” and you think thats wild, we’re on people’s radar as a destination. I guess we’ve seen so much growth online – the store does really well and we ship internationally. Even with the level of selection that we get, we’re really lucky to stock things like Yeezy, that does so well for us. It’s amazing how with a brand like Yeezy, you can grow so quickly internationally – especially online! Rio: As far as growing as well as customers and our base of people that know us, the brands have also been brilliantly supportive. We started out with the best accounts that you can get, but then we’ve also gotten higher and higher that way. So it’s nice that we’re in a position where we can offer just as good stuff as men can get. 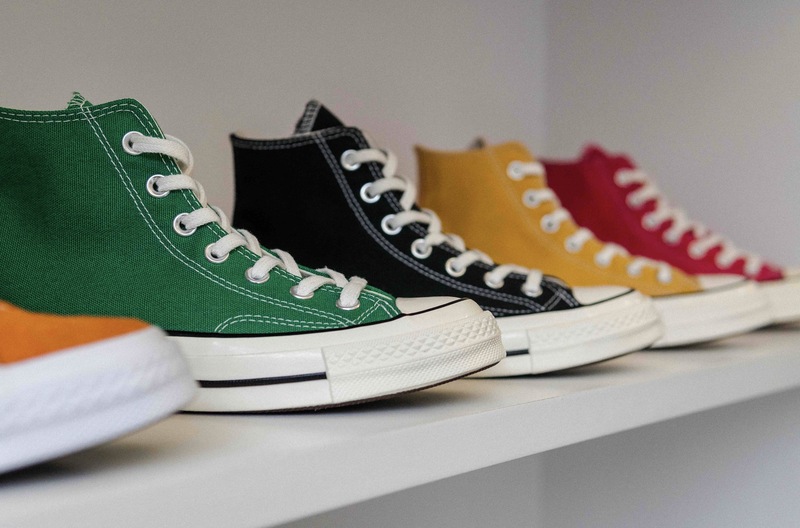 For women who love sneakers, for women who are just starting to love sneakers and for women who just need a comfy shoe, it’s a really good time for us in the market. A lot more is being created for women now. It’s so nice to know we are a store that can facilitate this. And finally, what do you have planned for the future of pam pam? Will you open another store? 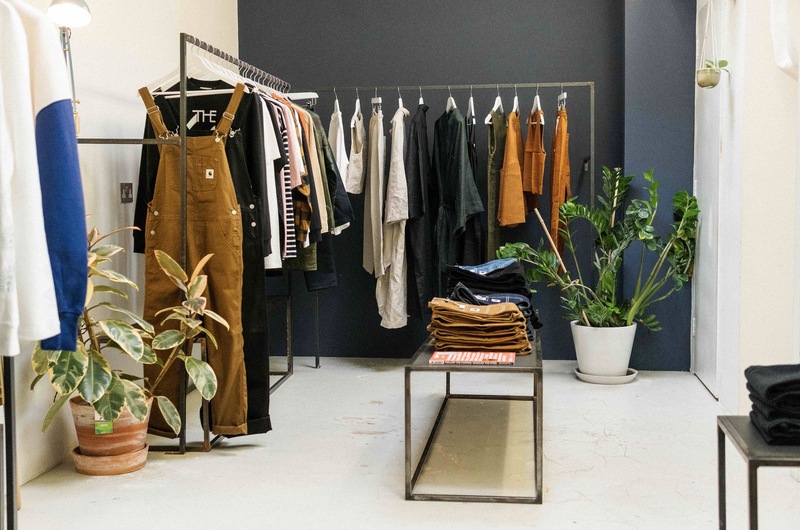 Beth: I don’t think we would open another store in London or in the UK, at the moment we are focussing online – the reach is phenomenal, its just endless. So even down to our marketing and any of the campaigns that we do, it gets so far out into the world just by social and our website. So no more stores for the moment! Rio: Yes, one store is enough for now!